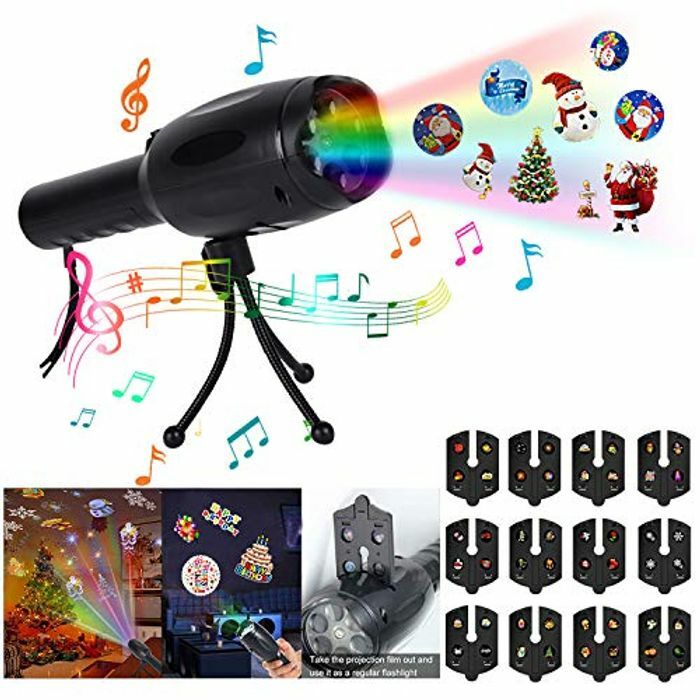 Musical LED Projector Flashlight: New Design Upgrade,8 Festival Music Songs Loops Play,Holiday Party Light Handheld Flashlight with 12 Slides Dynamic Images with the Flexible Tripod. Music Box LED Projector Flashlight: 3-in-1 Function,It can be Used Both as a Music Box, Flashlight Lighting and as a Holiday Party Decorative Projection Lamp. It is Small and Light to Easy Carry. Secure Without Radiation, Gentle Soft LED Light, Better to Protect Eyes Especially for Kids and Enjoy Your Day. 12 Switchable Slides: A Design for Every Occasion and Build a Great Atmosphere for Parties.The Patterns Include Halloween Ghost, Pumpkin, Birthday Cake, Christmas Tree, Rooster, Snowflake, Santa Claus,Elk, Fireworks,Happy New Year etc. The Best Gift for Kids. Battery or USB Powered: Can with Rechargeable Battery and USB Power Cord . It not only can be Plugged in to use, but also Works Wirelessly Which Enables you to Break the Limit of Outlet or Short Wire While Decorating. 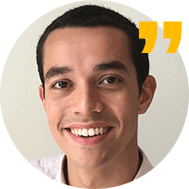 Helps you to Build a Great Party Atmosphere Anywhere you Want,Even Taking out for Outdoor Camping.Per Charge can Last 3-3.5 Hours. We have 69,330 Amazon deals and 757 Amazon discount codes on Latest Deals.